As I left Sterling CO this morning, I decided to head west on Hwy 14 to Stoneham, then north on Hwy 71 to I-80. 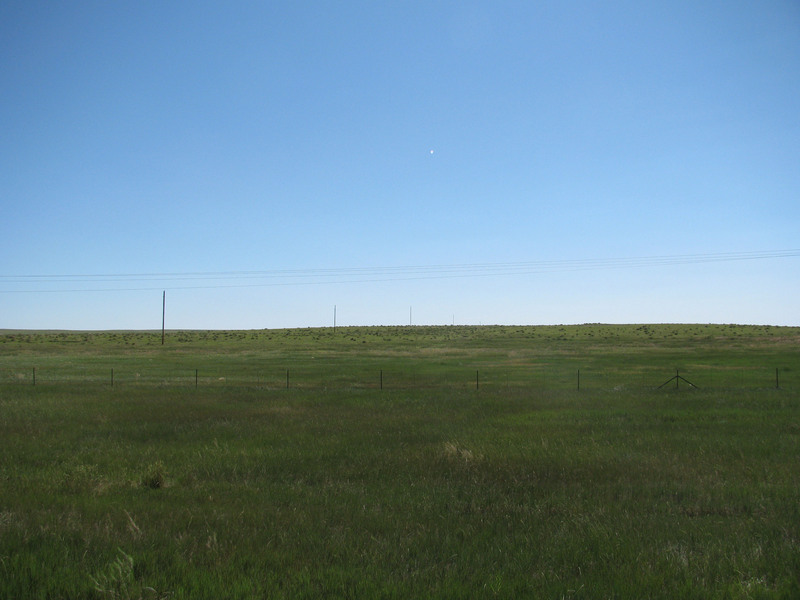 The general direction is toward the northwest corner of Wyoming—the Grand Tetons and Yellowstone. This route would take me through the Pawnee National Grasslands. I wanted to spend some of the day on Blue Highways. If you haven’t read William Least Heat Moon’s Blue Highways, his trip across American on back roads, you have missed one of the great travel books in American literature. A Blue Highway is a two lane road that is usually traced in blue on most maps. 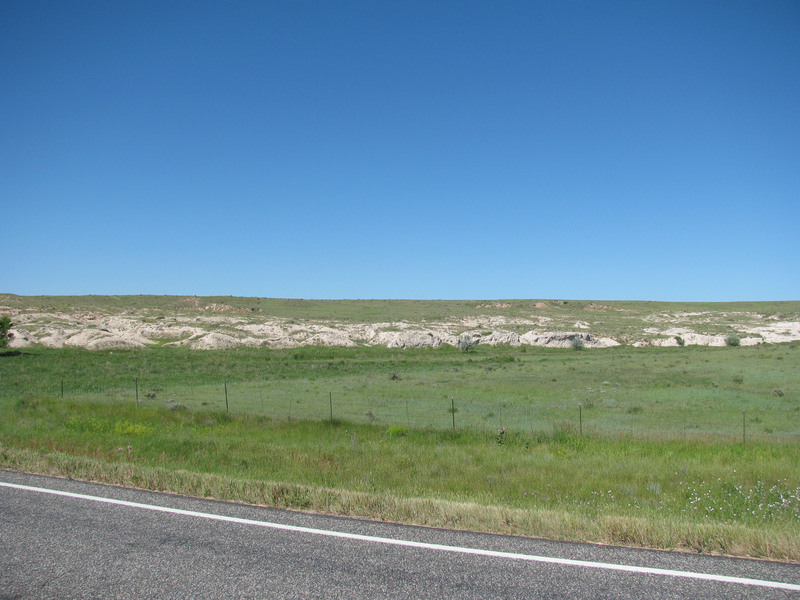 When you are on a Blue Highway, you can sense more of the subtle changes in the land that are usually appreciate only by locals. When I was visiting with relatives yesterday, my cousin Russ remarked, “We don’t like to go over toward Blue Springs and beyond. It’s too humid.” He was talking about a climate change that unfolds in the course of a twenty minute drive. 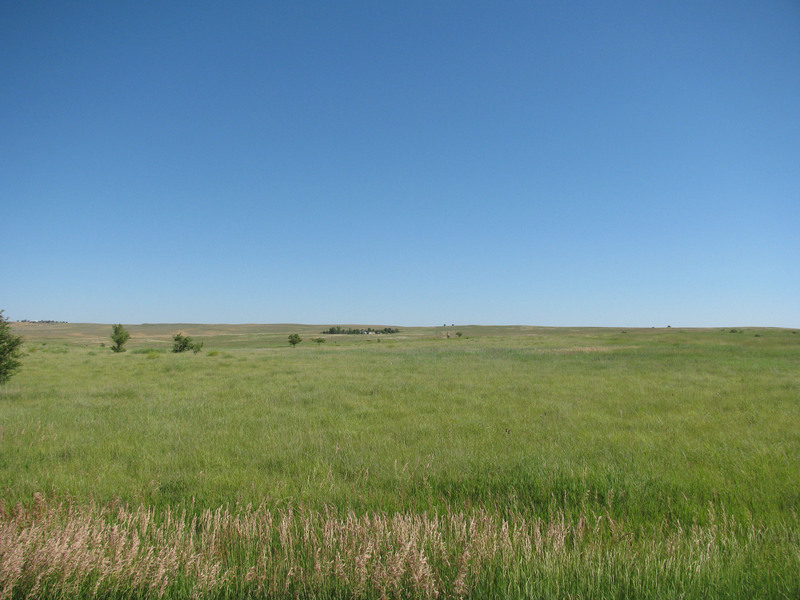 As I crossed through the grasslands, I was struck by how much changes, if you just watch. I think the photos on the side will tell the story best. but the color changes . . .
and the soil changes . . .
My mother is from Wyoming. 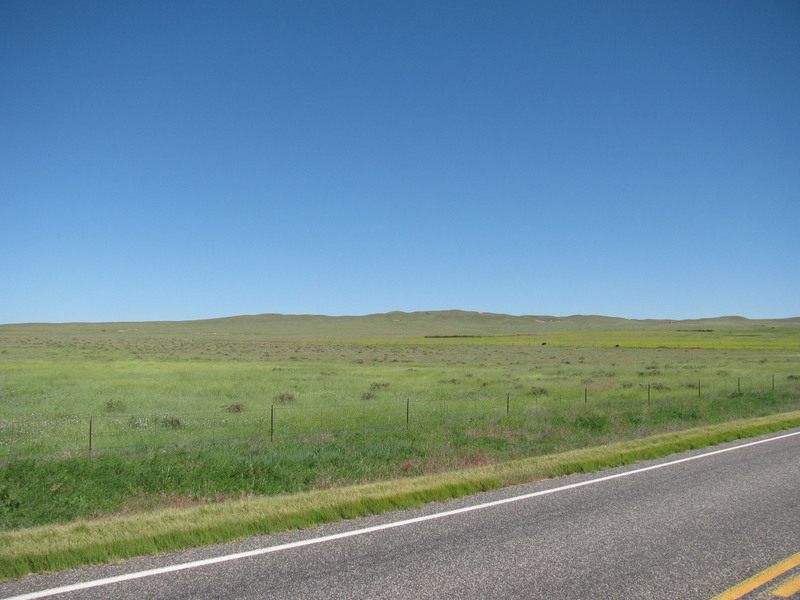 I have spent many a summer vacation looking at same scenery on the Blue Highways of Wyoming. Enjoy your trip thru a not so travelled place in the United States. I am reminded of the very retro album (redundant?) titled “Every Picture Tells a Story, Don’t it?” when I view the way to Blue Springs. Imagine not traveling somewhere because of the humidity! James and I realize more and more how we love the American West. I find Yellowstone utterly thought-provoking. We’ve been a couple of times…almost exactly this time last year, and we are already ready to go back. Happy trails, friend!